moreover universal and uniform. Vaastu is more of a fixed science. Vaastu is an old science and the modern Vaastu dates back to Brihat Samhita of Varaharnihira. It means Vaastu was there even before Varahamihira who collected different related sciences in his encyclopedia of astrology and related sciences known as Brihat Samhita. Although Brihat Samhita is an astrology centric book, but mentioning Vaastu there itself means some relation between both the sciences. Varahamihira doesn't mention any relation between planets and Vaastu. 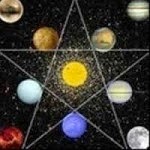 Vaastu deals with structures and Astrology deals with humans and their planets. Therefore, they are two different disciplines with different perspective but can be used together. Even in Hindu temples, idols of navagrahas (9 planets) are placed facing the direction(s) which they rule in Vaastu. Based on properties defined for these 9 planets, usage of these directions and corners is decided in Vaastu. For example, mercury controls business, money flow, mathematics etc. So north-east direction is usually full of water, green plants etc. Rahu is the head of serpent, so heavy weights like overhead tanks, storage rooms etc are built in that direction to suppress its negative impact. If a person is affected by a malefic planet in his/her horoscope, then usually the problem comes from direction related to that planet and related corner in the house will cause frequent disturbances or repairs.